Each month, the Holistic Nutrition Hub publishes a list of the top articles and podcasts from around the web in 2 different categories: Business/Marketing and Nutrition/Lifestyle. 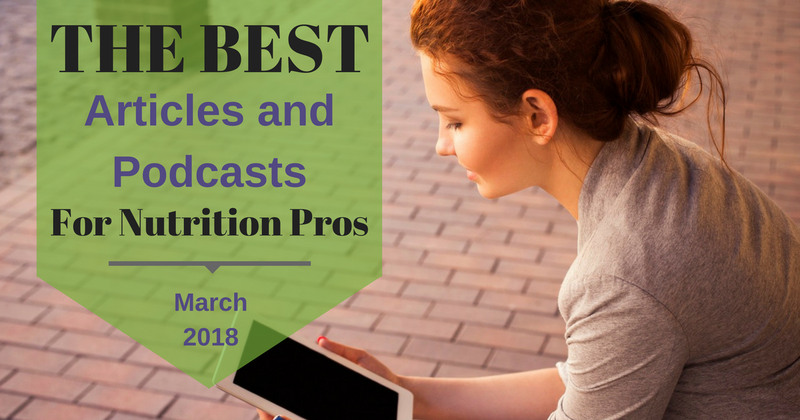 This list will help nutrition professionals start, run, and grow successful businesses while staying at the forefront of nutrition science, research, and information to help themselves and their clients. We scan the net, but if you’d like to submit your article for consideration, please do so via The Holistic Nutrition Hub Article Submission Form. Question: which article did you like best this month? Answer in the comments below! Sean is the co-founder of the Hub, a dedicated Personal Trainer and an Entrepreneur at heart. Passionate about all thing nutrition and fitness, he takes care of the HNH website, the community, and most of the laundry around the house. In his spare time, Sean loves building websites and writing about all things fitness, business, and marketing.